Patient does not get how sick he is - ? 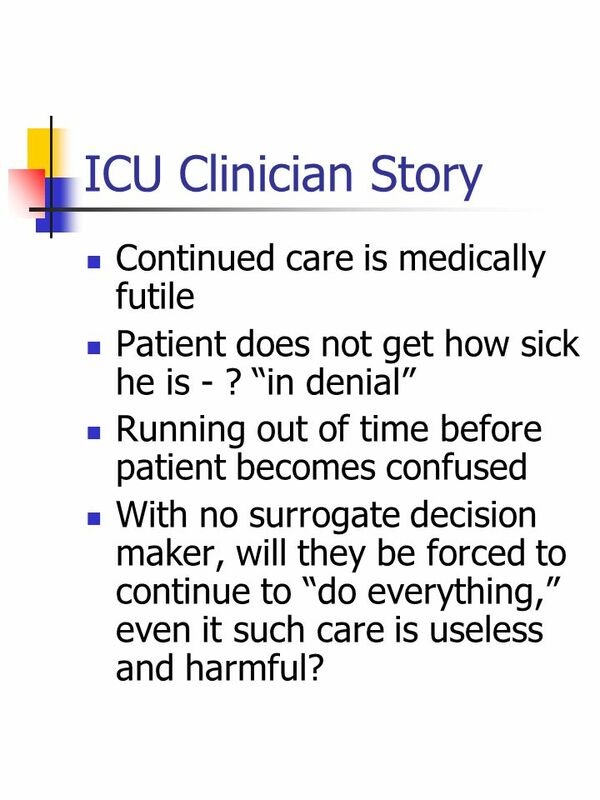 “in denial” Running out of time before patient becomes confused With no surrogate decision maker, will they be forced to continue to “do everything,” even it such care is useless and harmful? 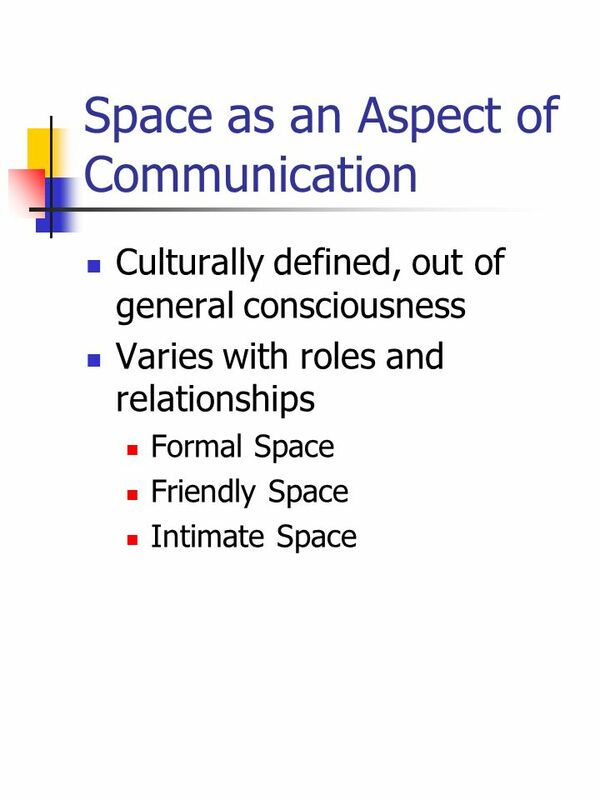 Culturally defined, out of general consciousness Varies with roles and relationships Formal Space Friendly Space Intimate Space For Elders distance may be appropriate in representing respect. 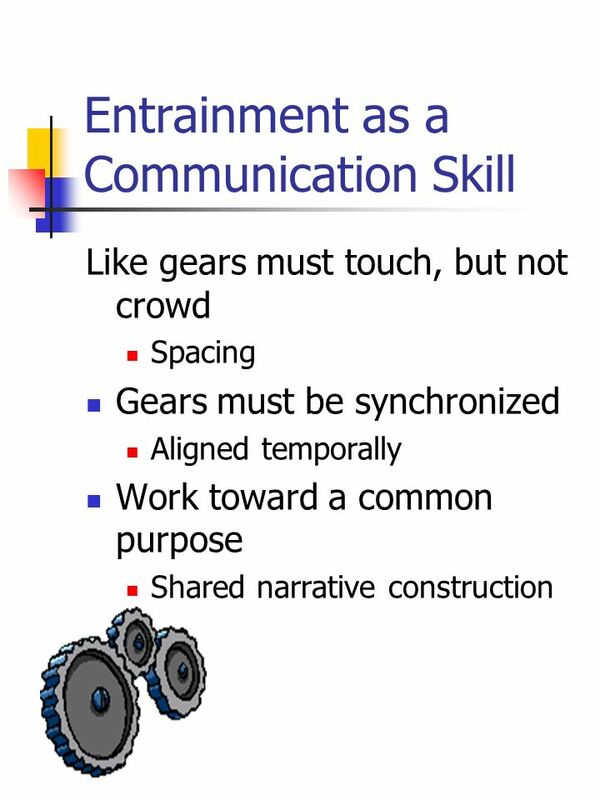 However, to the extent personal caring and concern is being communicated may be more intimate, requiring close proximity, even intimate space. In this case relatively intimate space used – holding hand, putting on patient’s glasses etc.. 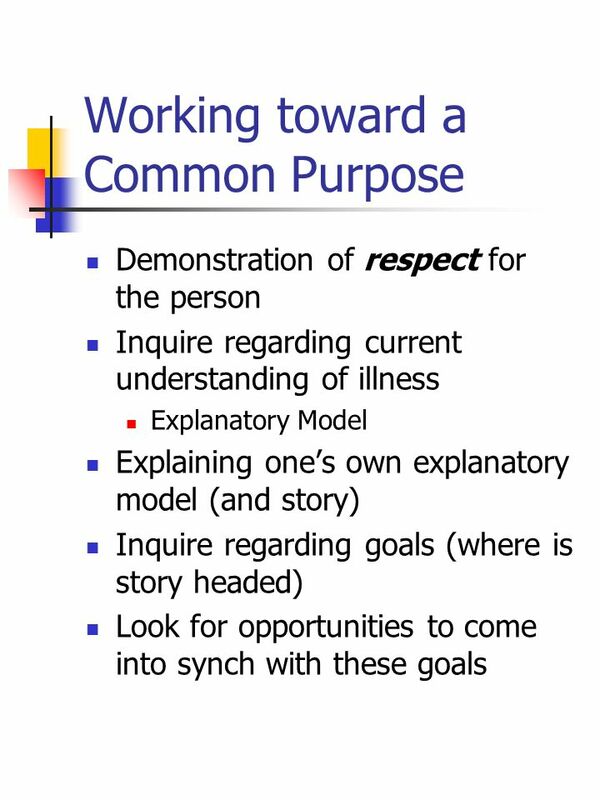 Demonstration of respect for the person Inquire regarding current understanding of illness Explanatory Model Explaining one’s own explanatory model (and story) Inquire regarding goals (where is story headed) Look for opportunities to come into synch with these goals In case: Let patient know I knew about “The Silk Road” etc. “What have you been told” “ What is your body telling you” Empathetic statements, “This must have taken you by surprise. It must be very hard for you to figure out what to do given this sudden turn of events. Suggested that he probably did have time to do some things, but probably not finish the book. 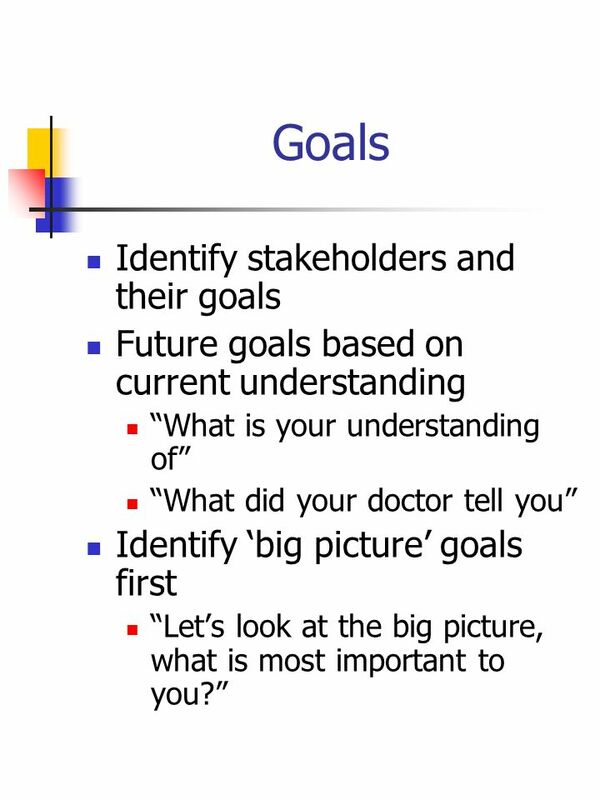 Suggested a “frame shift” in goals to: “If I am dying, where and how would I like to live until I die.” Response: “What about my estate” (Patient adjust goals, opportunity for us to help) Discussion of how to get his will and “say good-bye” – Intubation now re-framed as giving time to say good-bye and adjust to diagnosis. 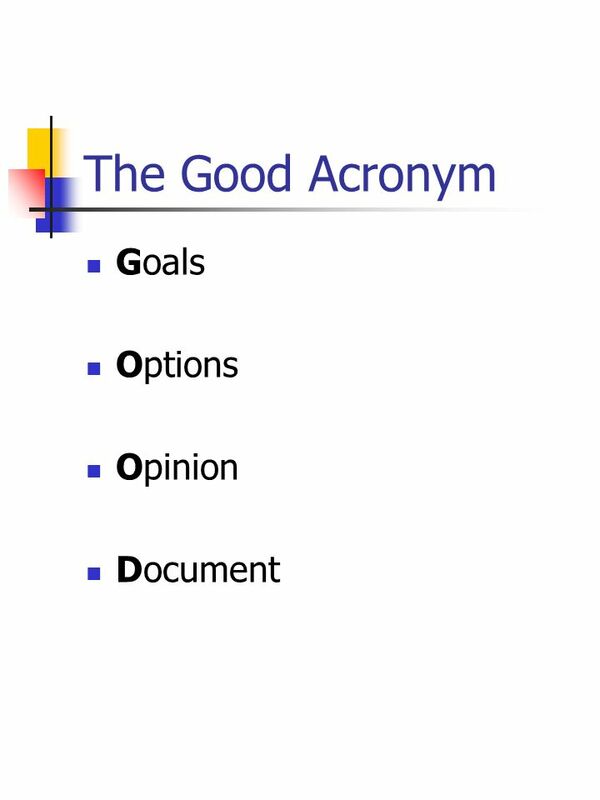 Address benefits and burdens of options Do your homework Address probability of success Link options to identified goals Suggested frame shift of goals based on opinion that nobody had the power to give one year. 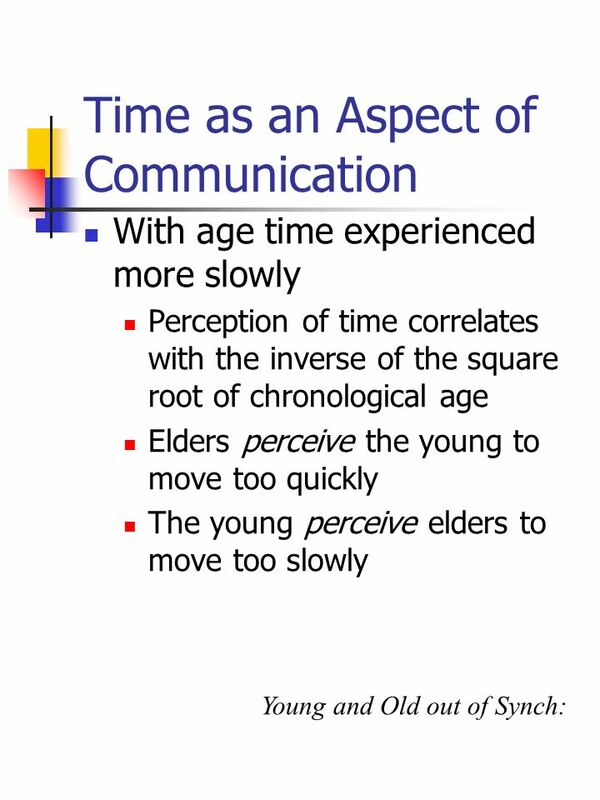 Strengthening alliance, started with acknowledgement of the wish, “wouldn’t that be great…” Frame shift – not so much how long to live, but how and where to live for what time left Options – continue on vent indefinitely, consider new goals and use time on vent, transition to comfort care goals and ? Hospice Ward With this patient wrote, “What about my estate?” He drew a picture of a box with his will in it. Demonstrating shifting goals based on new information. 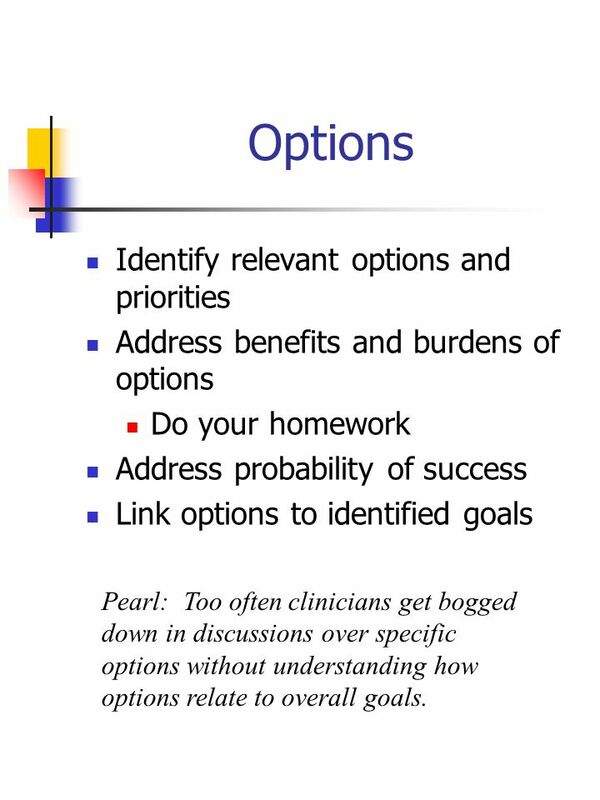 Pearl: Too often clinicians get bogged down in discussions over specific options without understanding how options relate to overall goals. 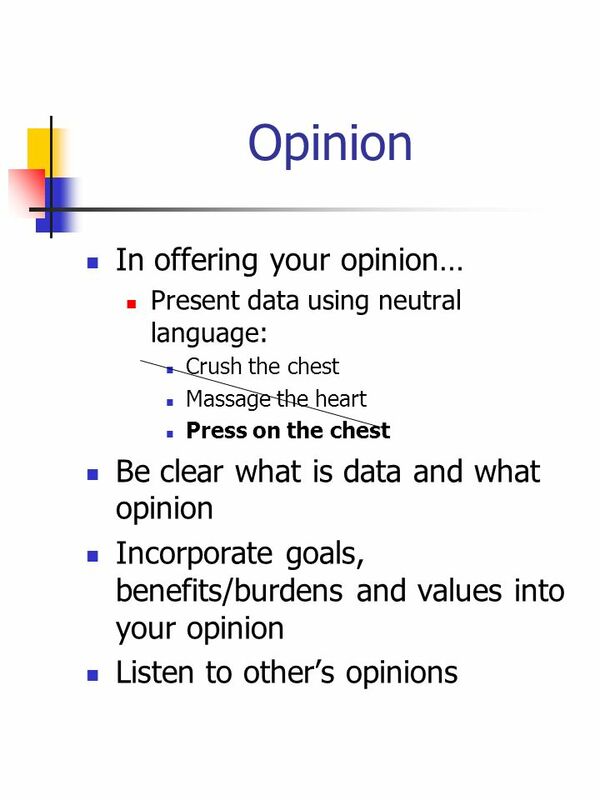 Present data using neutral language: Crush the chest Massage the heart Press on the chest Be clear what is data and what opinion Incorporate goals, benefits/burdens and values into your opinion Listen to other’s opinions Offered my opinion that A) he did seem to need a bit more time to let things sink in. B) He could use the time he had on the vent to ensure certain goals were met. Thus, we colluded on a new, mutually constructed story – using his time on the vent to ‘take care of business’ before he died. 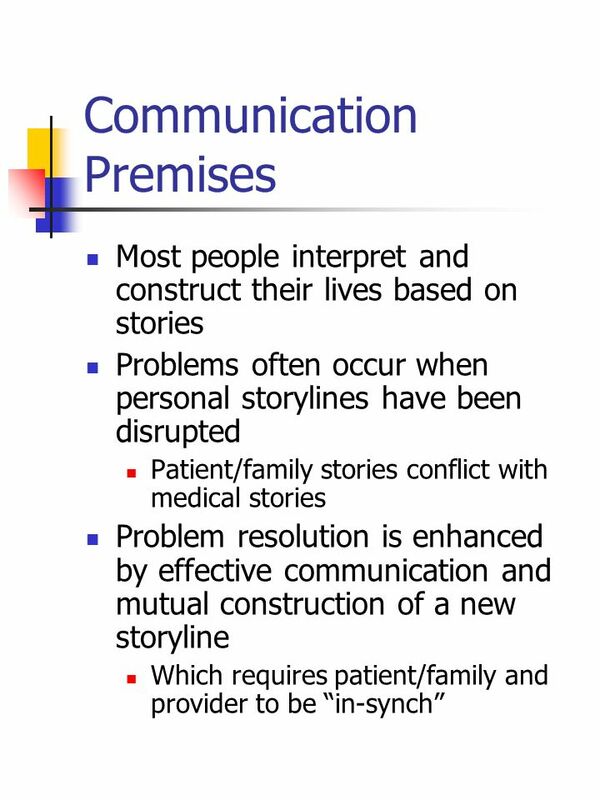 Note this was different than original two stories – live for a year or discontinue futile care. 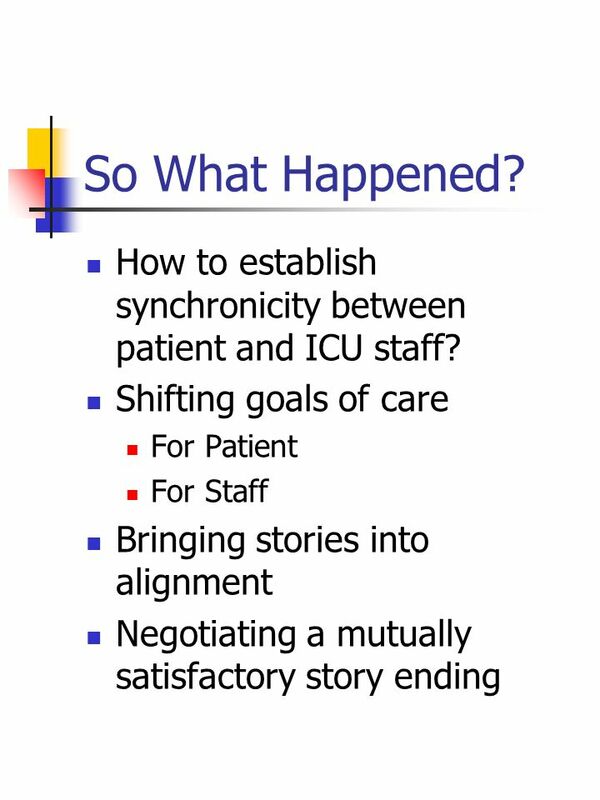 Two days later, asked what if… question (iterating back to options) what if you were ‘unable to meaningfully interact with your environment and doing poorly and this thought irreversible’, could we then transition to comfort care, including discontinuing the vent? Strong, affirmative node. 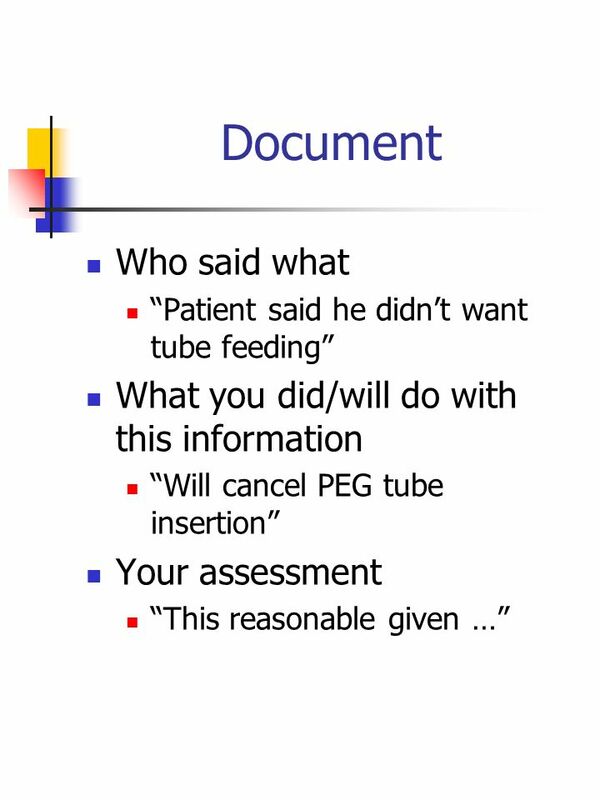 “Patient said he didn’t want tube feeding” What you did/will do with this information “Will cancel PEG tube insertion” Your assessment “This reasonable given …” Documented initial discussion and follow-up with advance, advance directive. A witnessing note also included for this. 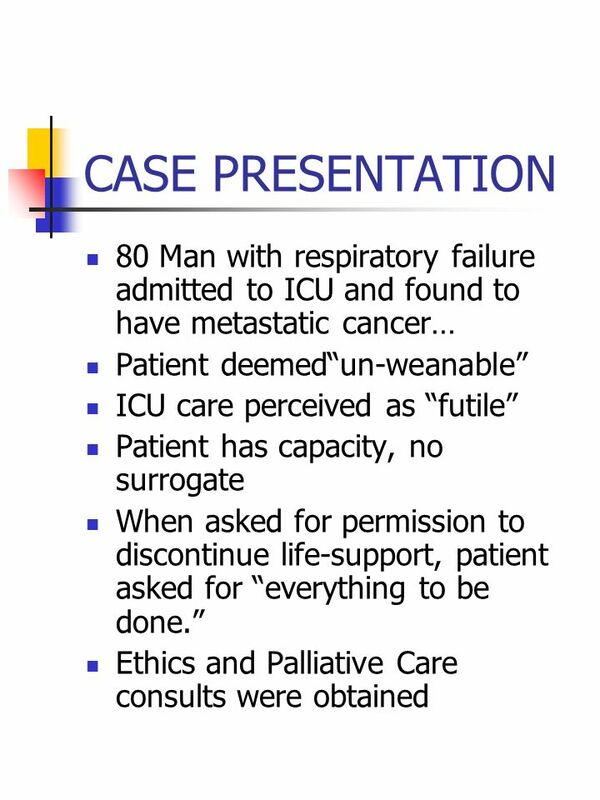 Download ppt "CASE PRESENTATION 80 Man with respiratory failure admitted to ICU and found to have metastatic cancer… Patient deemed“un-weanable” ICU care perceived as." Decision-making at End-of-Life Dr Mary Kiely Consultant in Palliative Medicine Calderdale & Huddersfield NHS Foundation Trust. 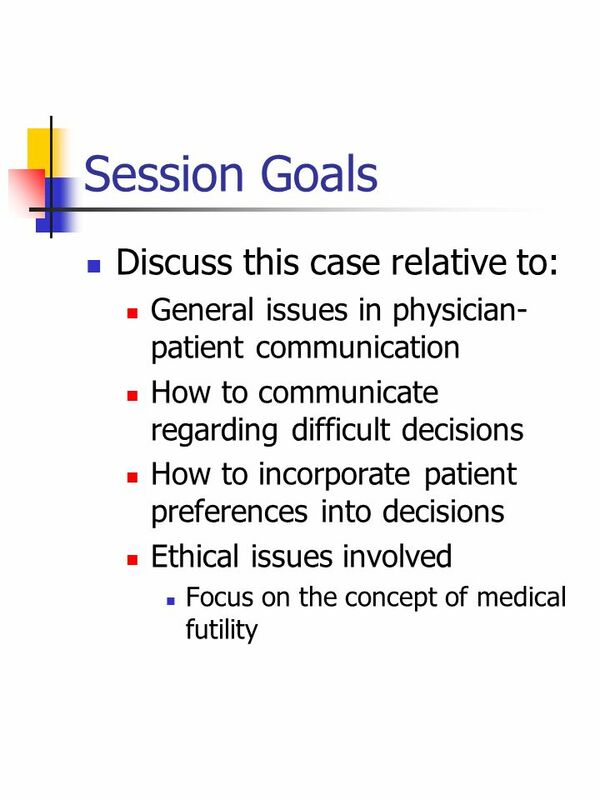 EPECEPECEPECEPEC EPECEPECEPECEPEC Goals of Care Goals of Care Module 7 The Project to Educate Physicians on End-of-life Care Supported by the American. Case Study Deirdre Downes. 2 My Father: My Siblings Mother, and Mom likes me best. Many Siblings One Health Care Proxy: the story of Mr. L Mr. L was an. Getting the Most from Family Meetings Anthony Galanos MD, MA Jennifer Gentry APRN BC Duke Center for Palliative Care Department of Medicine Division of. 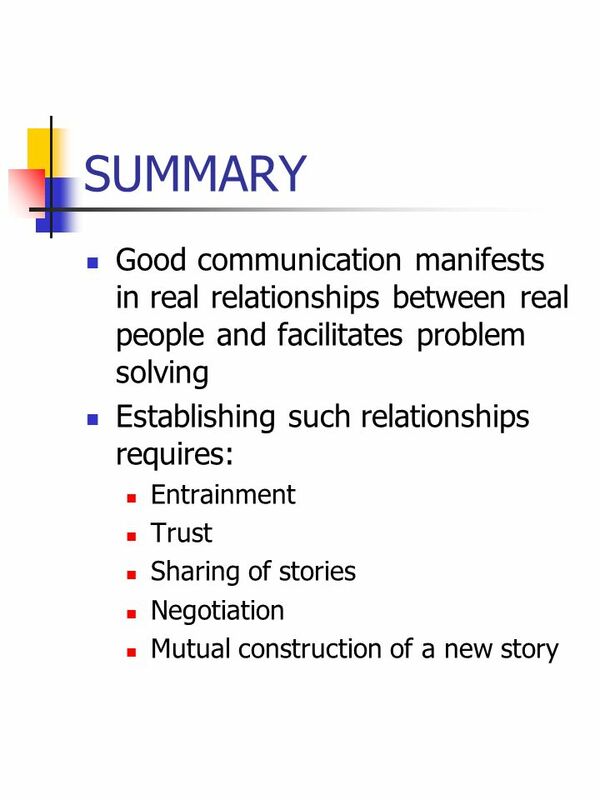 Using Transformative Mediation and Communication Skills in High Conflict Dialogues Mardi Winder-Adams Positive Communication Systems Pieces. 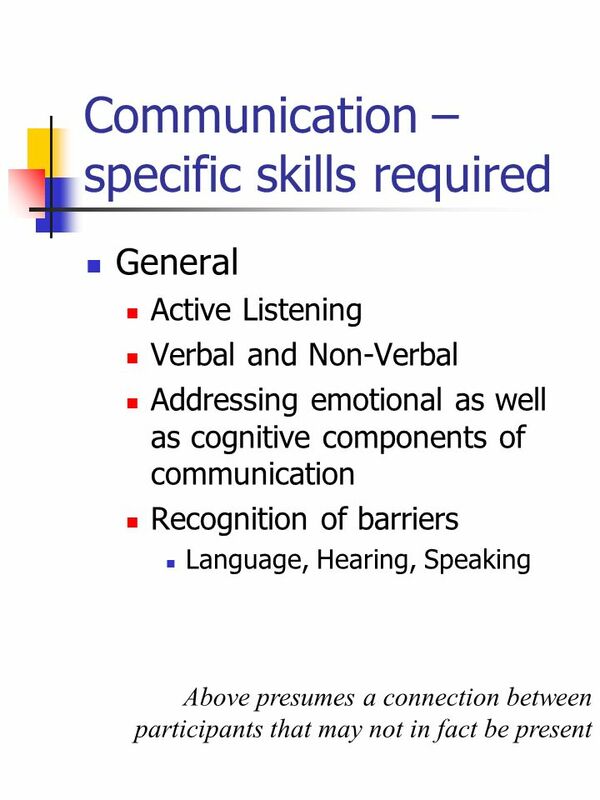 Education in Palliative and End-of-life Care for Veterans is a collaborative effort between the Department of Veterans Affairs and EPEC ® Module 3 Communicating. EPECEPECEPECEPEC EPECEPECEPECEPEC Communicating Bad News Communicating Bad News Module 2 The Education in Palliative and End-of-life Care Project at Northwestern. The Chaplain as Spiritual Guide in Ethics Consults 2006. Participating actively in decision making as a team and as an individual To explore effective and ineffective ways of coming up with conclusions when. 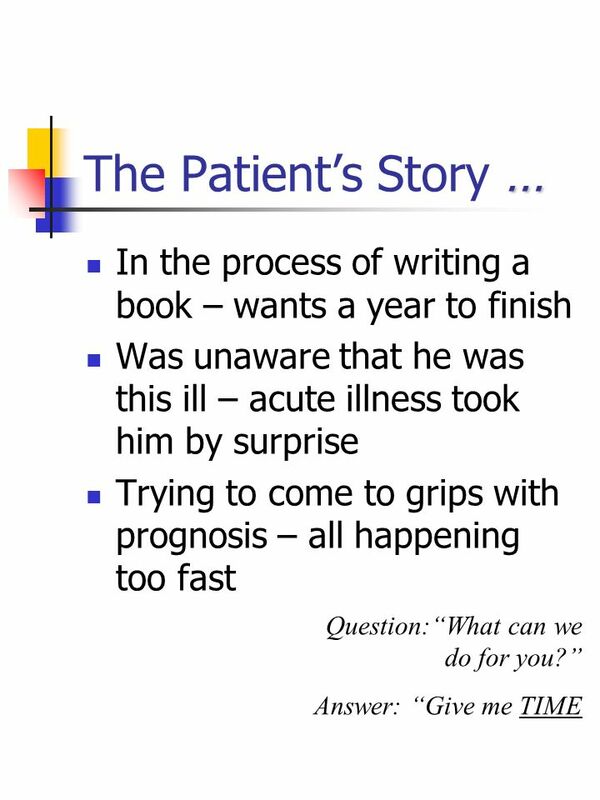 Dealing with Professionalism Lapses: Beyond “he said, she said” Catherine Lucey MD UCSF December 18, 2012.